In the night, strange dreams of strange vistas haunt Tanelsa, chase her through the wintery roads of the waking world. Three days pass in an uneasy silence before it becomes clear that the time has come for her to pick up her sister's trail again, but parting is never easy. Don't miss this, the sixth episode of E.S. 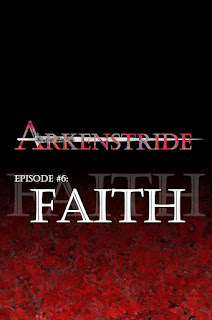 Wynn's fantasy epic: ARKENSTRIDE.